Patients who fear they have eating disorders are being told by GPs they aren't "thin enough for treatment", according to a woman who was denied help. 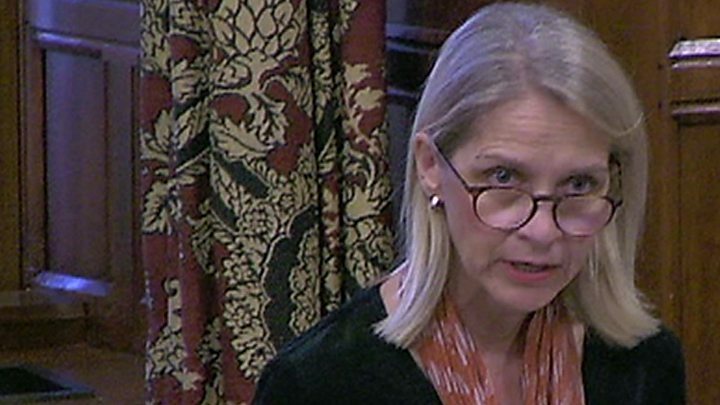 The woman's MP, Wera Hobhouse, highlighted her story during an emotional debate in Westminster Hall. In some cases, patients did not get help because they didn't fall under the Body Mass Index (BMI) category of "anorexic", said Ms Hobhouse. "Judging an eating disorder by BMI isn't good enough," said the Bath MP. Doctors relying on BMI guidelines to judge the weight and severity of an eating disorder are "failing patients", she added, and in fact were making sufferers worse. But according to the National Institute for Health and Care Excellence (NICE), anorexia sufferers can have a BMI higher or lower than average - and BMI is just one of 14 signs that can indicate an eating disorder. Teaching about eating disorders is currently minimal, with medical students receiving an average of two hours of lessons on it in total, while 20% of medical schools don't include eating disorders on their curriculum, according to a report by Dr Agnes Ayton, vice chair of the Royal College of Psychiatrists' faculty of eating disorders. "We are far too quick to offer patients a prescription rather than prescribe the help they actually need," said Conservative MP Kirstene Hair. Former Lib Dem leader and Westmorland and Lonsdale MP Tim Farron, who took part in the debate, said: "The government enables public health Cumbria to spend only 75p per head for children in the county on preventative treatment. "We ought to be investing in having a mental health worker attached to every school to ensure we prevent people from getting to this stage." According to the government's own Children and Young People's Eating Disorder Access and Waiting Time Commissioning Guide, easier access to services and more support were supposed to be a part of the package.